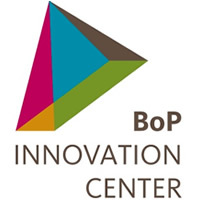 The BoP Innovation Center (BoP Inc.) is an independent foundation using a multi-stakeholder approach to facilitate sustainable innovations in Base of the Pyramid (BoP) markets. These market-based innovations aim to co-create a positive impact on the wellbeing of low-income people. We firmly believe that creating market-based sustainable innovations for the BoP can create a win-win-win situation for all organizations and the people at the BoP. Mayke Harding holds a masters in International Development Studies and a professional track record in development cooperation in the field of local private sector development (SMEs). She started her professional career with the Dutch MFA, and moved on to work with the ILO for 7 years on SME and BDS development. In Central America and Vietnam she was an ILO expert working in the field of entrepreneurship development and coordinated SME business management training programmes. 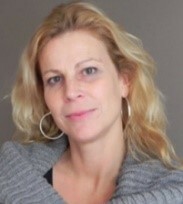 Before she came to work with BoPinc in 2013, she worked as learning expert for a Dutch NGO umbrella organization. Private sector development and CSR have been a red thread throughout her career. Mayke Harding works as senior expert at BOP Innovation Centre. Having worked and lived in various developing countries, Mayke became passionate about enhancing and unlocking good practices and pro-poor solutions in particular. She is passionate about processes where it involves actors originating from various cultures and sectors, willing to explore change and turn it into action. Hands-on work and trying out new approaches is what makes her tick. Key areas of expertise are capacity development and learning in international development practices, SME development and organizational development.